We have skilled experts to offer Turnkey Piping Projects to the customers from small and large-sized compressed air industries. Our presented piping project services are best in the market and performed by the experienced workers of our team. We work with complete dedication to provide our clients with advanced piping technologies. aluminum provide an extensive range of John Guest / Eqofluids compressed air Aluminum piping which is a push fit fitting system used on all types of pipes. The pipes can be in Aluminium or plastic including Polyurethane, PEX, copper. Aluminum pipe for compressed air and industrial gases. 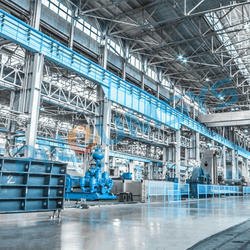 Aluminum pipe for air compressors is a new concept and is gradually gaining recognition in most of the industries. PEX pipe for plumbing applications. John Guest speed-fit technology using push to fit couplers is a well-known technology used by a lot of DIY (do it yourself) plumbers, plumbing contractors, plumbing consultants, project engineers, EPC contractors, civil contractors for factory, engineering college, railways, defense. GI pipe / MS Steel pipe / ERW / seamless steel pipe for water and general gases and fluids. Push Fit fittings for connecting pipes of different materials. Metal Couplings eliminate the need to thread or weld pipe. Push to Lock fittings for high-pressure piping which can go up to 250 bar pressure and can be easily demountable with simple spanners needing less skilled labor and installers. Being a prominent organization, we are engaged in offering a wide assortment of Turnkey Project. The services we are offering are widely appreciable among the patrons for highlighting features like the customer-centric approach, high flexibility, reliability, and timely execution. All our services are executed by our professionals and can also avail these products according to their requirements and preferences. These services are rendered according to the specifications provided by the patrons. Pneumsys offer Compressed Air Piping Solutions using fittings from John Guest and EQO Fluids in India. Compressed air piping fitting system is used for the distribution of compressed air to the required point of use. 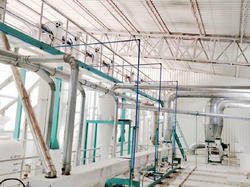 It is a fairly designed system that helps in energy cost reduction and an increase in production efficiency. 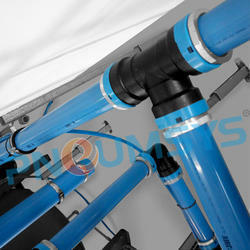 Pneumsys compressed air system is quick and easy to install and is used in various commercial and industrial facilities. Their smooth inner surfaces produce good air flow, energy savings and give optimum performance under pressure.